© 2003 Estate of Harry Bertoia/ Artist Rights Society (ARS), New York, New York. Photograph by R. H. Hensleigh and Tim Thayer. Harry Bertoia, renowned artist and furniture designer, also achieved international success as a sculptor. In 1960, he began making sculptures that introduced movement. The sculptures resemble reeds or other organic forms that emit melodic sounds when affected by air currents or in response to the human touch. The reverberations created were similar to the layering of shapes and colors in Bertoia’s earlier monotypes (produced while he was at Cranbrook) where he visualized in two dimensions the production and radiation of sound waves. Bertoia used different metals in his sculptures to produce rich melodious tones, favoring bronze, beryllium copper, nickel alloys and Monel. While varying the material and proportion, the visual effect of the sculptures remains cohesive. In this sound piece, forty-one metal rods with drums on their tips are attached to a metal base. 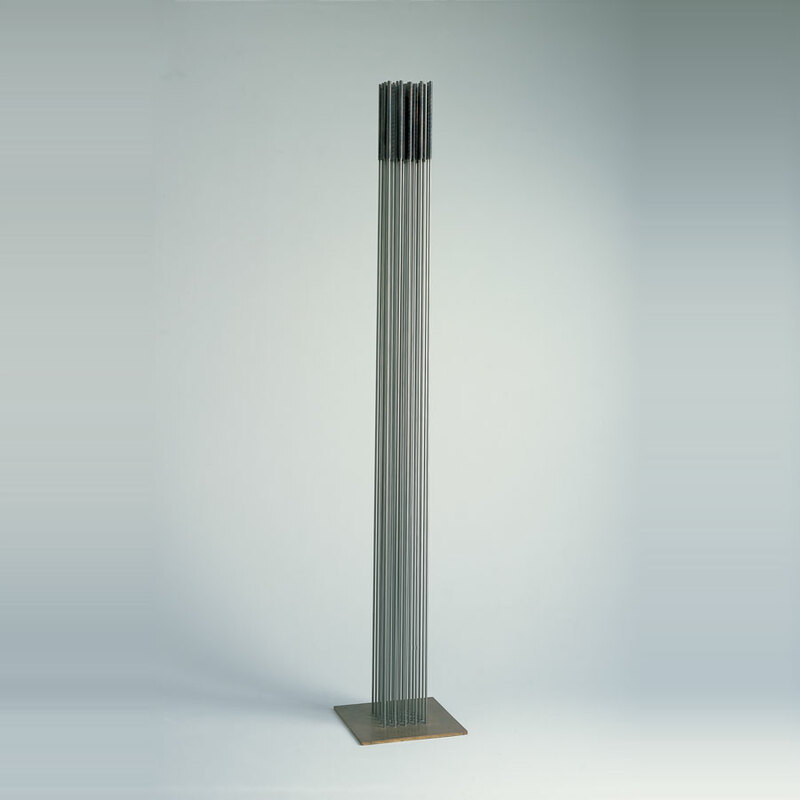 One of his taller variations, Sound Sculpture is a commanding presence. Bertoia intended his sound sculptures to be played as naturalistic/ mechanical instruments, and recorded several sound performances under the title Sonambient in the 1970s.